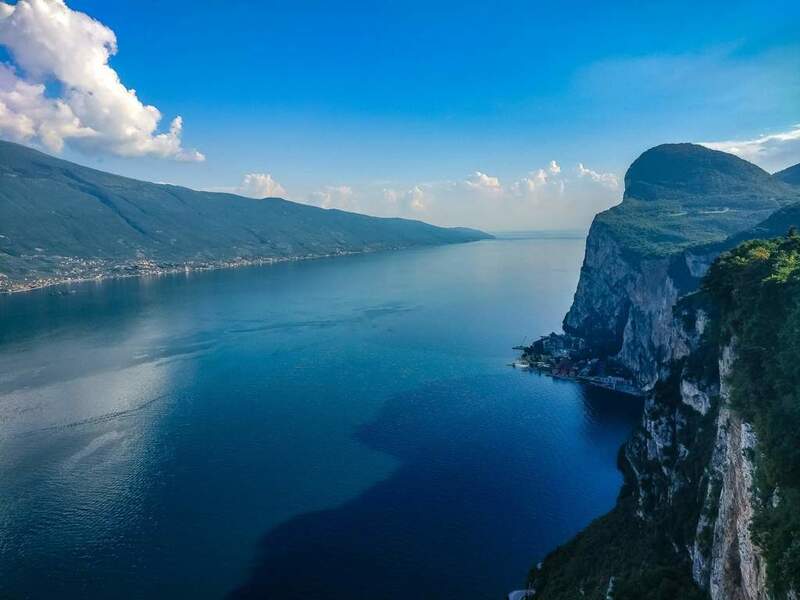 Dreamlike and at the same time vertiginous is the view from the “Terrazza del Brivido” to Lake Garda. The so-called “terrace of shudder” is part of Hotel Paradiso in Pieve di Tremosine and is accessible for both hotel guests and restaurant guests. 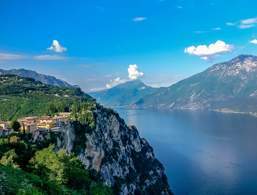 On the western shore of Lake Garda in the south of Lake Garda there is the village of Tremosine sul Garda formed of 18 hamlets. Only one of them, Campione del Garda, is located directly at the lakeshore. 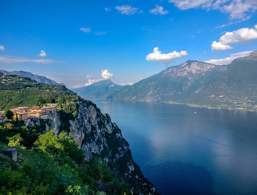 The main district, Pieve di Tremosine, is located on a high plateau that has a steep slope towards Lake Garda offering dreamlike views of the Lake and Monte Baldo. For instance, the views from Piazza Arturo Cozzaglio or from the terrace of Hotel Panorama are particularly beautiful too. 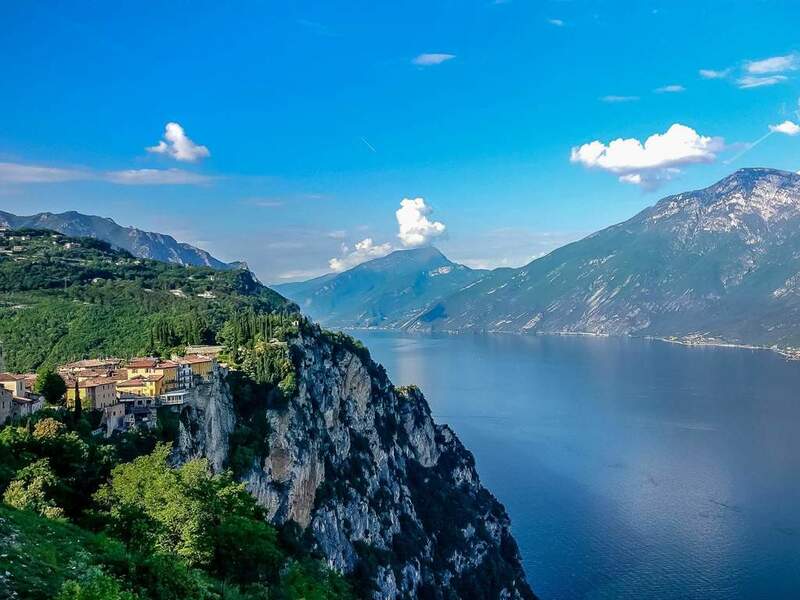 The spectacular viewpoint is however part of Hotel Paradiso and bears its name “terrace of shudder” not for nothing. A concrete platform with rails protrudes over the edge of the high plateau. In fact, visitors can see down the lake from three sides, which is located 350 m below the terrace. Who suffers from fear of heights, should better not go see the lake from the platform. All other hotel and restaurant guests will just enjoy the fantastic view. 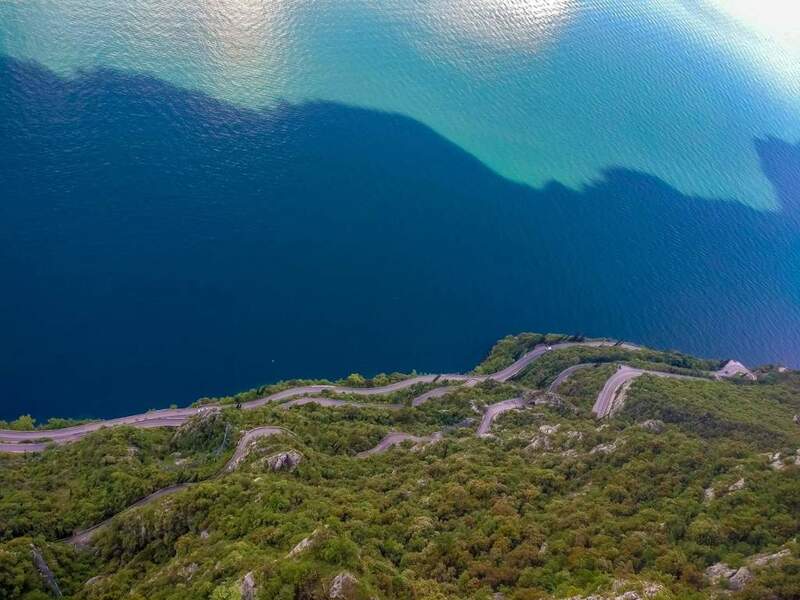 Already the arrival from lake Garda to Pieve di Tremosine via the famous Strada della Forra is an adventure and requires excellent driving skills: The narrow and curvy street branches off Gardesana a little bit north of Campione del Garda and goes across the narrow Brasa gorge. The gorge was the setting for movies such as “Quantum of Solace” of the James Bond series showing a rapid pursuit. 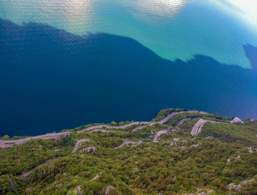 Athletic travellers that are free from giddiness can choose a hike or mountain bike tour from Campione del Garda to Pieve di Tremosine. 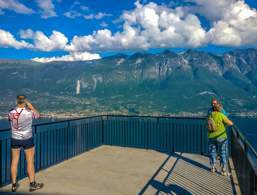 The view from the "Terrazza del Brivido" in Tremosine is dreamlike and at the same time vertiginous, ranging from Lake Grada to the surrounding mountain world.